We have a great selection to top brands to choose from, including Honda, Yamaha and Tohatsu. Take a look below to see additional details on each brand’s line of small outboards for inflatables and dinghys. Give us a call or come by to see our selection or view our specials currently advertised. We are also staffed with certified outboard mechanics to get your outboard running smoothly or just keep it running that way. Visit our service page for more details or take a look at our current Service specials. Everything you want in a portable outboard. Easy starting. Lightweight. Fuel efficient. Quiet, low vibration performance. It’s easy to see why the all new BF4 and the newly redesigned BF5 are best in class. World-renowned Honda quality combines proven reliability and superior fuel efficiency, with no oil mixing. The BF4 and 5’s lightweight, compact design makes them perfect for small tenders, sailboats, jon boats, and inflatables. Weighing in at only 60 pounds, these motors are easy to transport. You’ll be impressed with how easy it is to start the BF4 and 5. The decompression mechanism opens the exhaust valve during the starting process. This reduces the amount of force needed to start the motor. Starting is easy, every time. The one-push stop switch makes it just as easy to shut off the motor. Pressing the stop button once safely shuts off the motor without it re-starting. The 1.5 L internal fuel tank provides enough fuel for over 40 minutes of wide open throttle operation. Need more run time? The BF5 offers an external fuel tank connection. 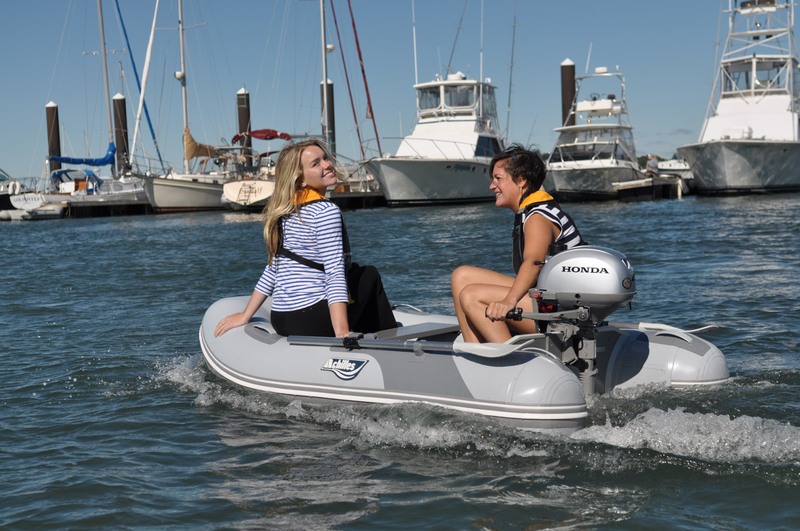 Honda’s exclusive design optimizes the isolation mounts to minimize the transfer of vibration to both the tiller handle and the transom. The custom rubber mounts absorb vibration, resulting in a motor with among the lowest handle vibration in its class. An optional 6 amp charging system helps keep accessories and electronics charged. An enlarged front carrying handle provides superior portability and ease of installation. Enlarged finger slots in the rear of the motor make it easy to grip when carrying or installing with two hands. 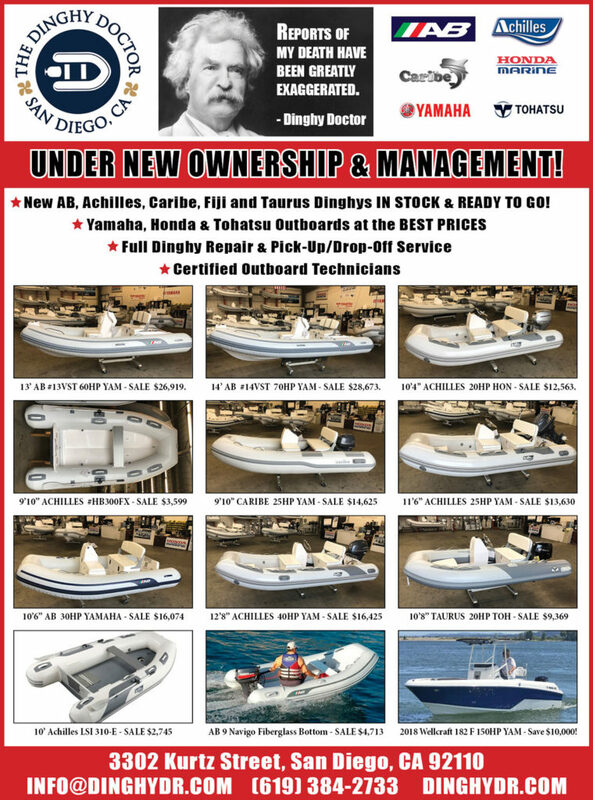 The Yamaha 70 hp, 60 hp and 50 hp Midrange four strokes are the go-to outboards for family, fishing and fun. Light and powerful, they sport 1-liter displacement, single-overhead-camshaft designs and electronic fuel injection. They deliver quick starts, high performance and incredible efficiency for aluminum fishing boats, pontoons and fiberglass boats. They also offer incredible trolling flexibility with Yamaha’s exclusive Variable Trolling RPM Switch. Available on the F70, F60 and F50, this allows anglers to adjust trolling speeds in 50-RPM increments. The Yamaha Midrange 70-, 60- and 50-hp four strokes. Solid choices for any boater. Yamaha’s mid-powered Portables, the F9.9 and F8, provide nimble, lightweight, efficient power you can take with you. These SOHC 212cc two-cylinder wonders are both under 90 pounds. They feature carrying handles, resting pads and on-side storage capability; so they easily ride along to the cabin or your hunting spot. With forward-mounted controls and optional power tilt, they make operation easy—perfect for spending a full day fishing the lake or skimming the marsh with your decoys. They also serve as excellent kickers on multi-species boats, with the 9.9 even offering a high-thrust model and an optional V MAX SHO®-style sport cowl for a consistent look. Add a little more power to your day with Yamaha’s portable F9.9 and F8. Yamaha’s smallest Portables, the F6, F4 and F2.5, weigh in at as little as 37 pounds, with streamlined overhead-valve, one-cylinder designs. Their light weights, combined with built-in carrying handles, resting pads and an oil-leak prevention system for on-side storage capability create true portability. Add to that their efficiency, performance and reliability and these pint-sized powerhouses are perfect for all sorts of light duty, like hopping to the cuddy on a tender. Wherever the day takes you, you can take along a little extra power with an F6, F4 or F2.5 Yamaha Portable. The Yamaha Portable F2.5 was recently California Air Resources Board (C.A.R.B.) Three-Star Rated for Ultra-Low Emissions. This new certification means that Yamaha’s entire four-stroke line up meets emissions requirements in all 50 states. They may weigh as little as 37 pounds, but these Overhead-Valve portable outboards are packed with features that create smooth, quiet power. This includes a CDI or TCI ignition system, an optimally balanced crankshaft, a long span mounting system and a labyrinth exhaust. Small motors use less fuel, but according to the Guinness Book of World Records, the Yamaha F4 actually set a world record for fuel efficiency, traveling 67.27 continuous statute miles on one gallon of gas. A pressurized oil delivery system that incorporates a compact and durable oil pump to keep all of the moving parts of their Overhead Valve systems lubricated and running smoothly for maximum reliability. Yamaha’s F2.5, F4, and F6 feature our Easy Storage Oil Retention System. This pressurized oiling system prevents leaks, enabling on-side storage. Incredibly nimble, the F6 and F4 feature 180-degree steering and the F2.5 features 360-degree steering with a dynamically balanced and dampened twist-grip throttle for comfort and convenient maneuverabilty. Built-in front and rear handles make these lightweights easy to carry. Resting pads and an easy oil retention system allow for convenient on-side storage without cowling scuffs or oil leakage. Technology Designed to deliver the ultimate boating experience. We aim to deliver the ultimate boating experience by providing outboard motors that are simple, easy to use and of outstanding quality. Simpliq™ Technology embodies the Tohatsu technological philosophy. Named for its integration of simplicity, interface and quality, Simpliq™ Technology is the result of continuous technological innovation fueled by the pursuit of nothing less than the very best. 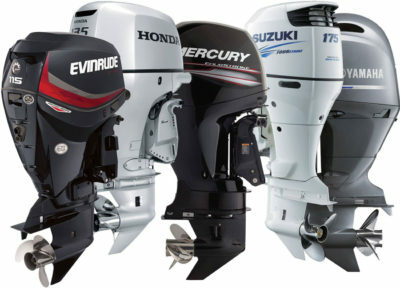 Tohatsu offers an outstanding line up of four stroke outboard motors, including the 90 hp, 75 hp, 60 hp (standard and “sport thrust” ), 50 hp, 40 hp, 30 hp and 25 hp outboard motors.